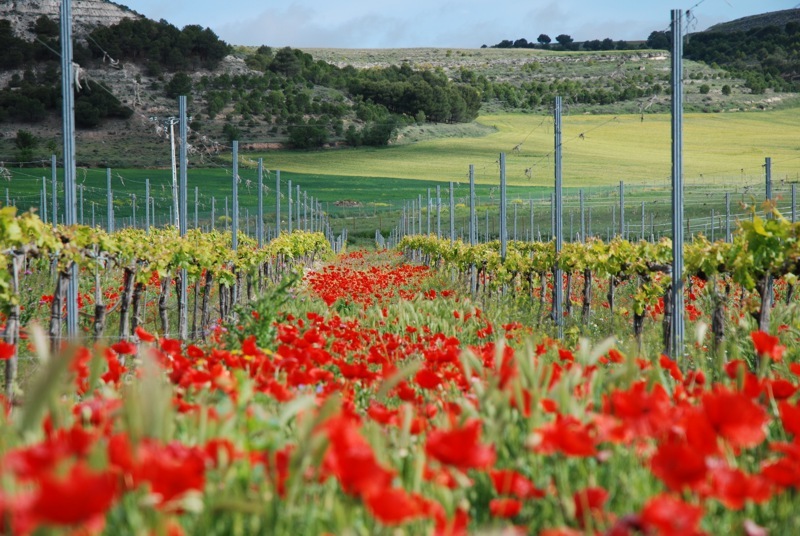 Bodegas Comenge started in 1999, the year in which Jaime Comenge, the founder, seduced by the beauty of the valley, decided to settle in Curiel de Duero. The name of the winery is in honor of his father, D. Miguel Comenge, author of the influential text book “La Vid y los Vinos Españoles”, published in 1942. This book is a reference book used in universities. The winery is located in Valle del Cuco, between rivers, vineyards and castles. It was established here in order to enjoy a unique environment, away from the noise and haste, to savor the nuances of the horizon; a place to pamper a wine in detail and for all those seeking delve into the culture of wine from the Ribera del Duero, enjoying an unrivaled balcony over the river Duero and its vineyards. In Curiel de Duero and Pesquera the grapes of Bodegas Comenge ripen and mature, nurtured by a precise viticulture seeking the perfect balance between the vineyard and its ecosystem. To achieve this, we have added new systems designed to optimize solar exposure of the leaves and the arrangement of the clusters. Innovations such as increased planting density, tall trellising systems, and vertical cordons or double drive systems are essential elements that help us achieve optimal results. We also maintain year-round vegetation that covers between our strains, turning our vineyards into true natural gardens where native vegetation develops freely, in symbiosis with our plantation. The vegetation covers serve an important environmental function: it increases sustainably soil fertility, prevents erosion on hillsides and acts as carbon dioxide sinks. Every itinerary for a trip to Spain, no matter the region, should read like the following: Drink wine, eat everything, relax, repeat. Deep cherry red in the glass, this wine has a highly complex bouquet of red fruit, wild flowers, exotic spices such as coffee and licorice and lightly toasted wood. On the palate it is inviting, very potent and has a rich, extraordinarily long finish. The 2013 vintage shows a bright cherry color of medium intensity. The nose is frank and aromatic, with good fruit intensity (blackberries, raspberries, strawberries), typical aromas of the oak aging (cocoa, spices) and some minerality (chalk). The palate is fresh, balanced and tasty, medium, pleasant body and easy to drink. Straw yellow with green hues, clean and bright. Intense varietal aroma, very expressive, with a highlighted aroma of citric fruit, fennel, dried grass and thyme. The palate is serious, dry, tasty and fresh, with volume, balance and good persistence. A nice and subtle bitterness which lengthens the wine and leaves a very elegant aftertaste on the palate and the whole character of the old vineyards. Dark cherry color. In the nose it is intense, and opens to a multitude of aromas: black fruit, plums, cassis, chocolate, spice and a crisp mineral background. The palate has excellent acidity, round body, wide, velvety tannins, exquisite ripeness of fruit and a dense, concentrated and elegant mouth feeling. Good structure which ensures a long life in the bottle.